Hahn and Ravel recreating the 'salon' experience of Paris during the 19th and early 20th centuries. 9 June, 2013 Kuala Lumpur, White Box, MAP@Publika - An intimate recital of French melodies by Faure, Debussy, Duparc, Hahn and Ravel recreating the 'salon' experience of Paris during the 19th and early 20th centuries. A small retrospective of beautiful settings of texts by Bourget, Gautier, Morand, Hugo, Prudhomme, Silvestre and with a special tribute to Verlaine. 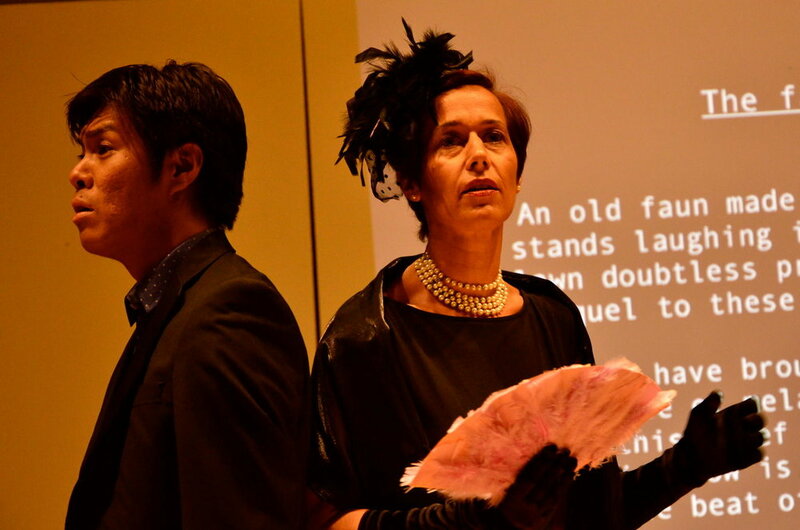 Performed to a full house by Chi Hoe Mak, bass-baritone, Wong Chee Yean, on piano and narrated by AVA and Marie Thielens.